Nice, logical step by step. Hickox hosts wing-shooting adventures in Alaska, South Dakota, and Georgia. In addition, he is the Hunting Dog Editor for Shooting Sportsman Magazine and a contributing writer for Pointing Dog Journal and Retriever Journal. Hickox's previous training videos have won numerous awards for instructional excellence. 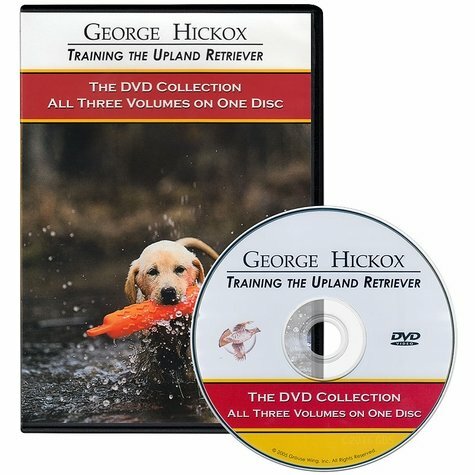 This new three-volume library of George Hickox -Training The Upland Retriever has been completely updated. The DVD Collection includes Volumes I through III. 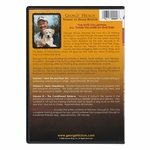 This is the complete training program for your upland retriever from puppyhood through to a polished finished dog. Volume I - Find 'Em and Flush 'Em covers the introduction to birds and the gun, patterning, and hunting in range. Volume II - Basic Obedience and Electronic Collar Training instructs you on how to properly train with low-level stimulation and includes in-depth coverage of the basic yard commands kennel, sit, here, and heel. Volume III - The Conditioned Retrieve and Steady to Wing & Shot covers the advanced training methods of developing a reliable retrieve and delivery, as well as the training methods used to teach a dog to sit on the flush and shot and not to chase.